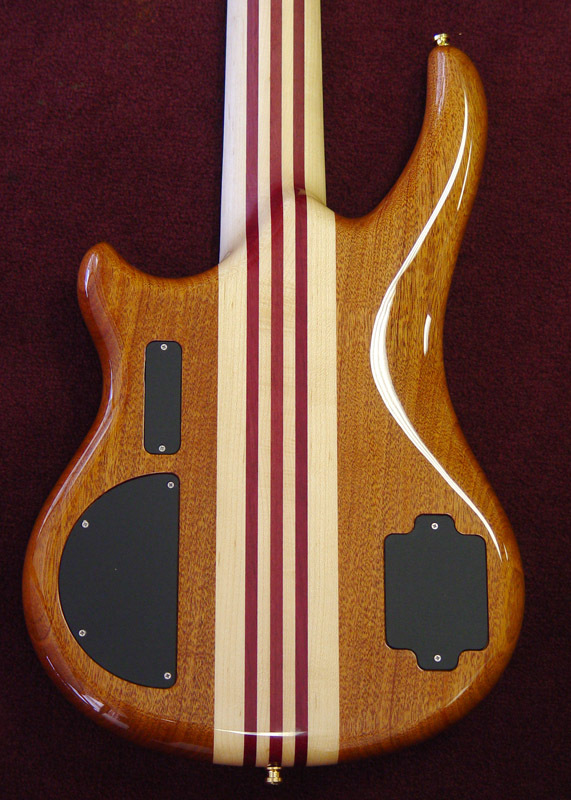 Come for the wood, stay for the tone. 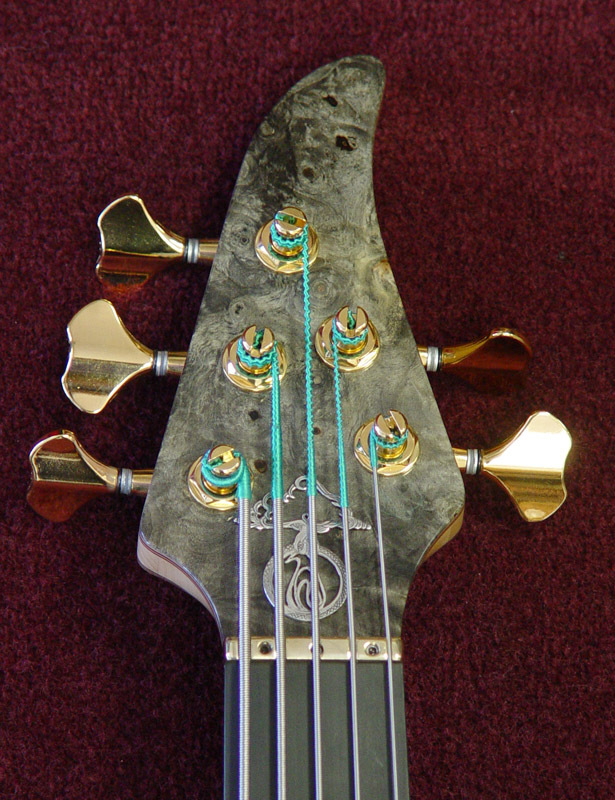 Creamy Buckeye Burl top with a wide swath of blue-gray fixes your audience's gaze. How can they take their eyes off such a maelstrom of Nature's palette? Lucky for you, your gaze will be on the side LEDs in matching blue, each one bound in pure sterling silver. Not a luxury when you're performing on dimly lit, or ever-changing lighting on stage. How did you ever get along without them? 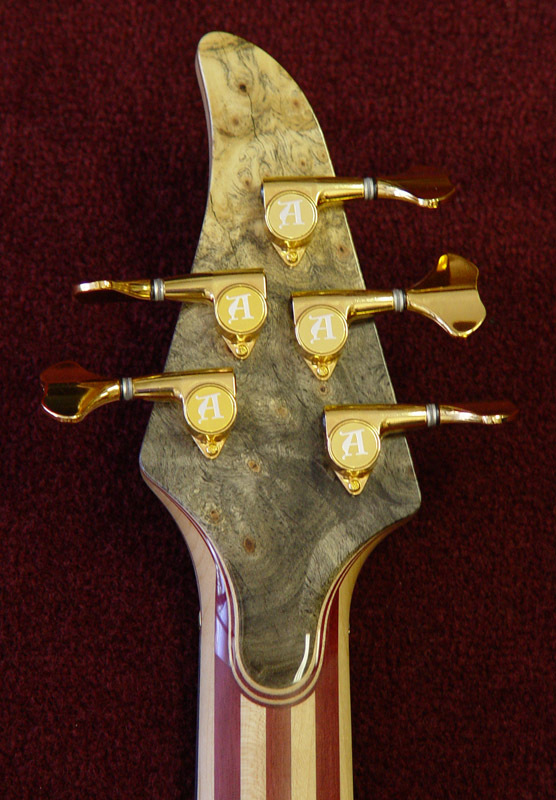 Nice deep B-string response firmly grounds this bass in the realm of Alembic tone. 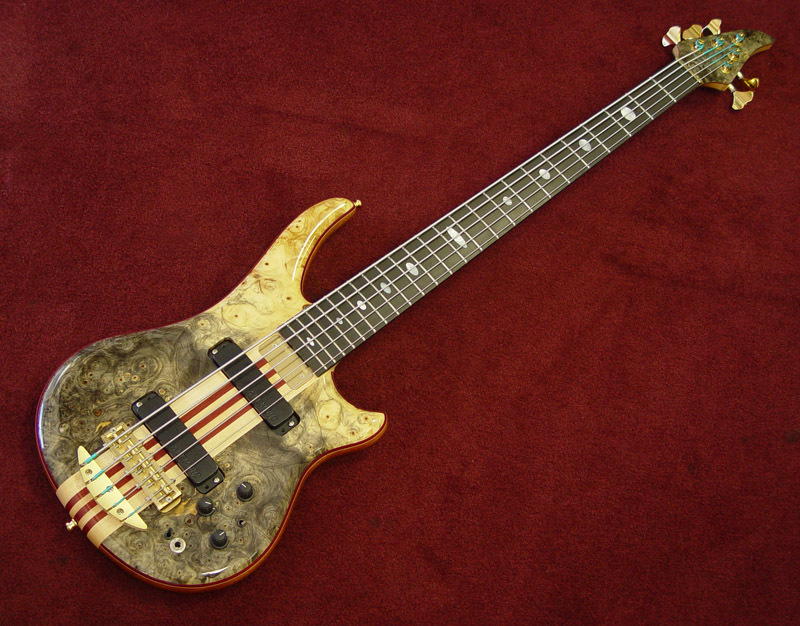 Oodles of sustain and excellent response, this is a bass that lets the player's own ability shine.